I invite you to join me and the President's Commission on Equity (PCOE) to the 2019 PCOE Spring Diversity Forum with Dr. Christine Drennon on April 8 from noon-1:30 p.m. in the Central Academic Building, Vista Room. 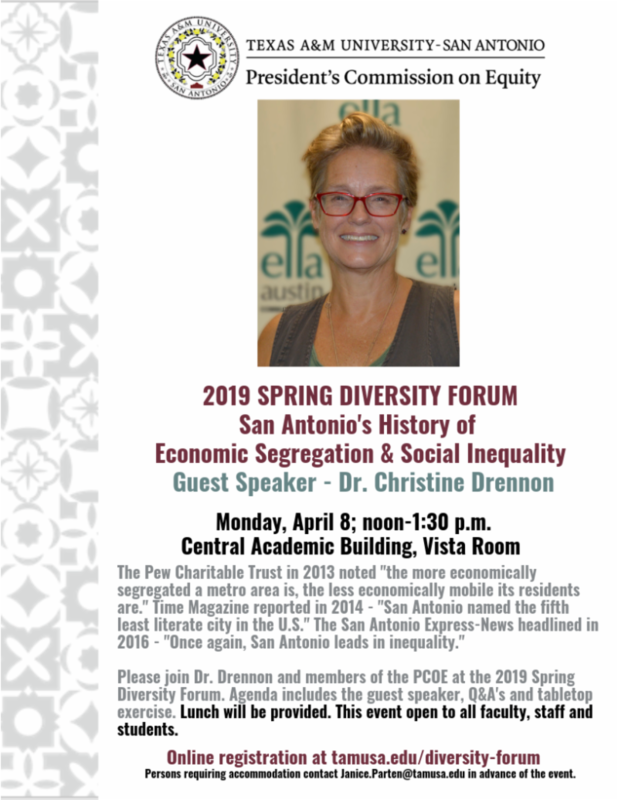 Dr. Drennon will share San Antonio's history of economic segregation and social inequality. A tabletop exercise and question-and-answer session will follow and lunch will be provided. Students, faculty and staff are welcome to participate in this event. Please R.S.V.P. for this important event.